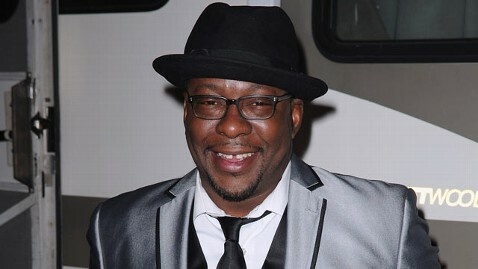 Bobby Brown has been released from jail after serving just nine hours of his 55 day sentence. Brown turned himself in Wednesday shortly before 10 a.m. and was released at 6:58 p.m., according to jail records. He was released and put on electronic monitoring by Los Angeles County Probation, a spokesman for the Los Angeles Sheriff's Office said. The R&B singer is required to wear an ankle bracelet. Brown, 44, was sentenced last month to 55 days in jail and four years of summary probation for his most recent drunk driving arrest. He is currently home with his family, a representative for the R&B star said in a statement to ABC News. "Mr. Brown has accepted responsibility for what occurred last October 2012. Mr. Brown is pleased that the matter has been resolved and to be home with this wife and young son," Brown's attorney, Christopher Brown, said in a statement to ABC News. Brown's arrest Oct. 24 marked his second in a year. His first DUI arrest was in March 2012. He has long struggled with alcohol and drug abuse. He was also charged with a DUI in Florida in 1996.